KVR Price: $299.00; Save $200.00! 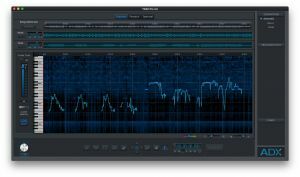 ADX Trax Pro 3 boasts faster separation processing speeds, new STEMS file format export, consonants annotation tool, and zoom-to-fit options; all of which allow users to work smarter not harder, when separating and isolating melodic content within a mono or stereo mastered mix. 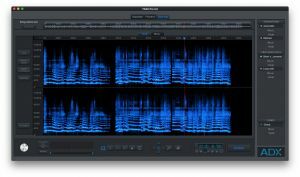 ADX Trax Pro 3 also includes spectrogram enhancements, and a first-of-its-kind pan-specific editing feature to directly edit audio content in specific slices of the stereo field for precision cleanup. The original Trax software was developed to assist producers, audio engineers, DJs, and all creative artists in isolating vocal or melodic motifs to create new hooks, innovative remixes and virtual duets. 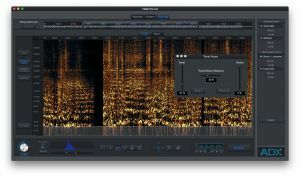 Trax enables users to raise or lower the level of a vocal or solo instrument in a mono or stereo mix without requiring access to the multi-track sessions. Trax Pro adds a unique approach to spectral editing to this already powerful technology. Using our innovative, non-destructive spectral editing tools, it is now possible to further refine the results you get from the initial Trax separation process. Faster spectrogram for smoother, more responsive spectral editing. Improved Vocal Targeting and Import Workflow. The Ultimate Remastering & Voice-Over Tool. Comprehensive Suite of Spectral Editing Tools.